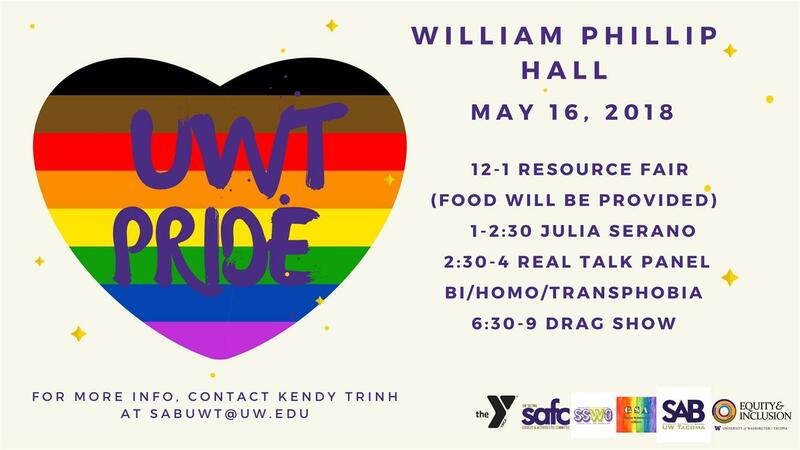 Wednesday, May 16, 2018, 12 – 7 p.m.
A full day of events focused around LGBTQ topics. Keynote for the event will be writer, performer, speaker, activist, author of Whipping Girl, Excluded and Outspoken, Julia Serano. See flyer for more details.